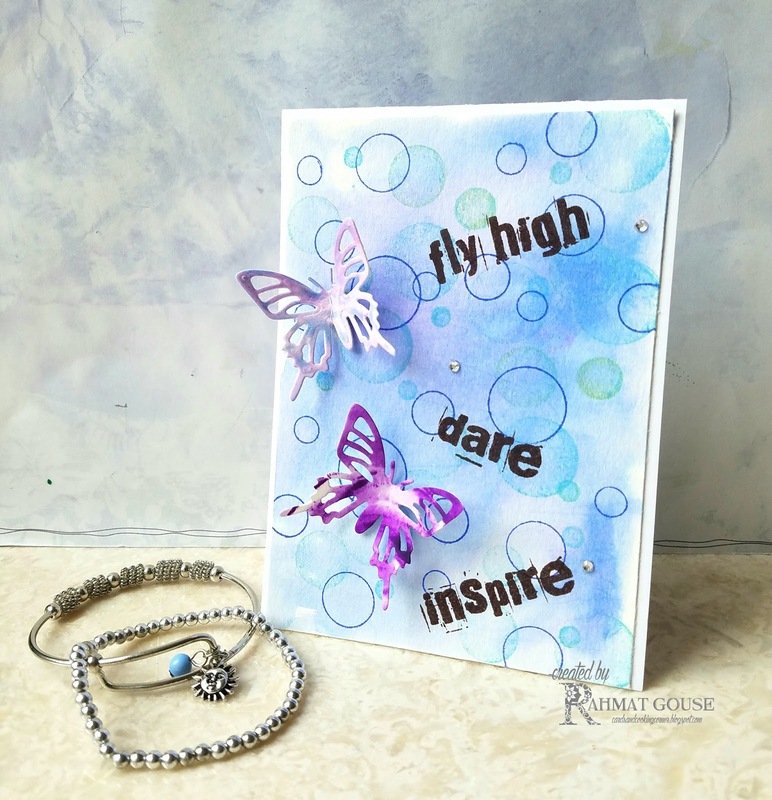 Hello all, I am very happy to be a guest designer for the Butterfly Challenge today. You can choose either the alphabet or the color, or both to make your project. I have used both on my card. I started with a water color paper, and sprayed it water and added streaks using zigs to get the color on. Then I used HLS - mix mash set, circles from this set for the bokeh kind of effect and hoops in a bit darker shade of the blue. The sentiment is from STAMPlorations. The butterfly die cuts are sent by Mrs.A in the goodie bag I received from her. I had used strips of watercolor paper from my stash for this. a few jewels to finish off. 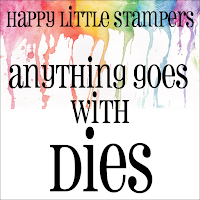 Use 5 or more stamps. I loved it ,refreshing colors ,I didn't know about Harebell color Thanks for sharing it ! The color scheme is so soothing and I love how the butterflies are spreading their wings in the 3D pop ups! 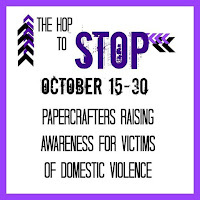 Thank you for joining the Hop to Stop and raising awareness for victims of domestic violence. Congrats on your Guest DT at the butterfly Challenge ...it was nice reading more about you!! This is very pretty! Love the background, which is perfect for the lovely butterflies. Great sentiment, too. Those fluttering butterflies on that whimsical background are amazing. The pop of purple makes your card stunning! What a pretty background you've created for your lovely butterflies! Swooning over the harebell (learned something new today!). Thrilled that you shared your artisty in the Inkspirational gallery! Super sweet card and a stunning background. Beautiful card! Love that background and such pretty butterflies!